I call this horse Newt. As a kid I always wanted a Haythorn colt. Here he is. Newt is the same everytime. No foolishness. Very gentle and broke. You can do anything on him...go catch a cow, drag calves in the pen, stays very calm, easy to get along with. He has a very nice trot and short lope. 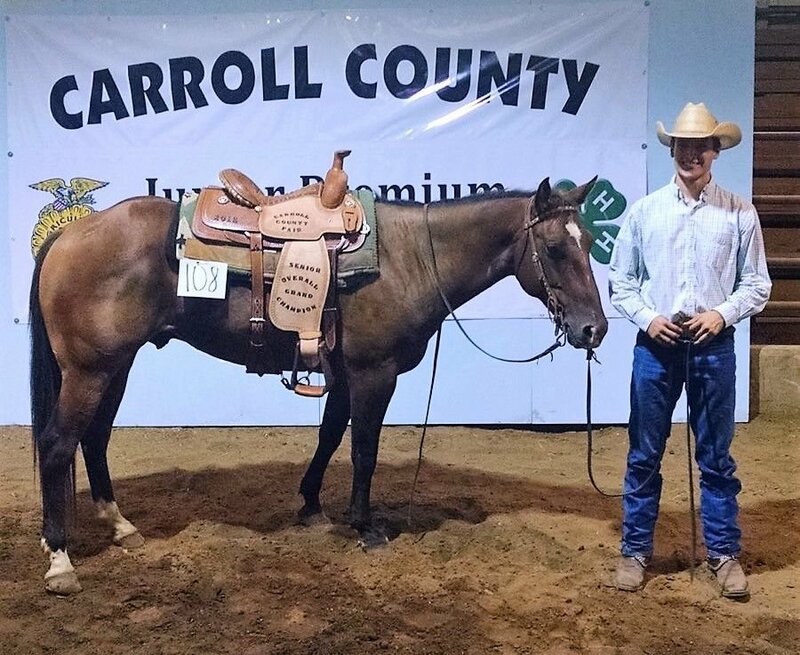 My son won a saddle with him in 2015 at the county fair in horsemanship and Western classes. Very nice go do anything horse. Figure 4 branded on hip.